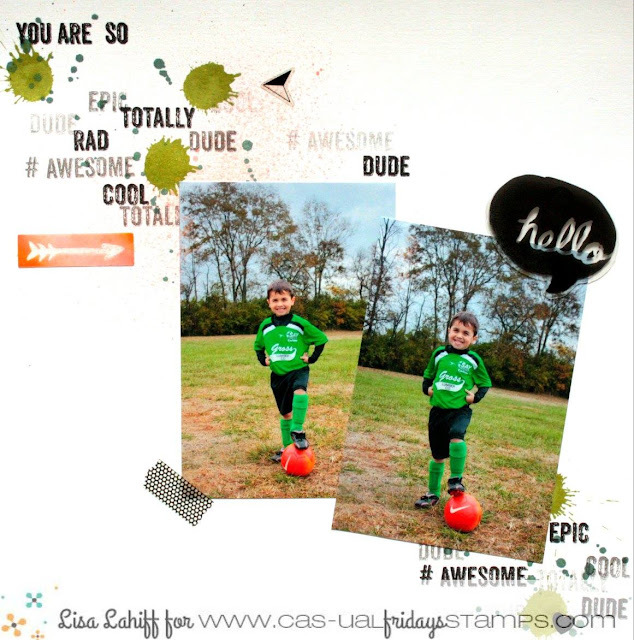 CAS-ual Fridays Stamps: Scrapbooking is Rad! This layout was created using the Rad Stamp Set. I love how I didn't need any patterned paper for this layout to look complete. The words stamped in the background multiple times, made for a cool and graphic design, while still keeping the eyes drawn towards the photos. A mix of stain dabbers and misters helped this background come together in no time at all. 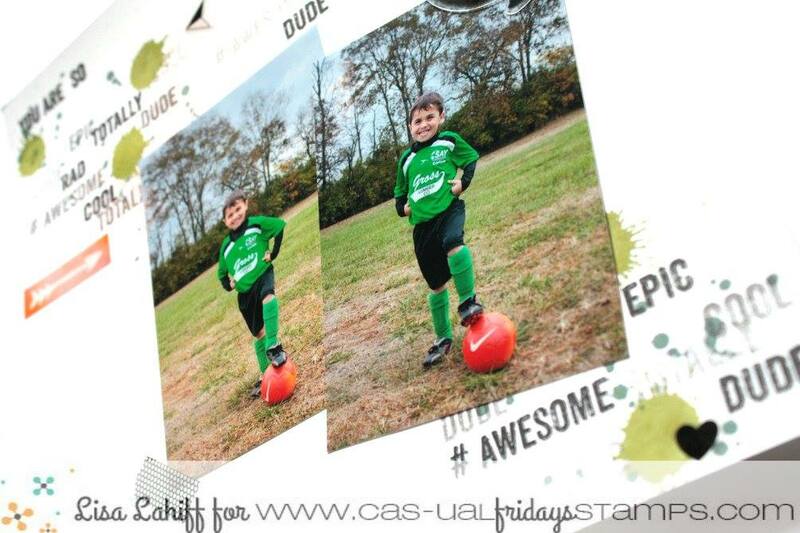 This set is so perfect for boys and teens. It certainly works for girls too with the simple change of an ink color or two, but as the mom of 2 boys, it was in fact designed with my boys in mind.